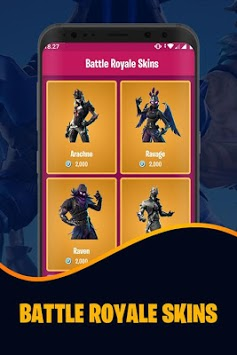 Do you want more Skins for your Battle Royale account? Download now our app and start discovering FREE skins. It's easy and free. If you enjoy playing online with your friends, check our app to get more skins for your profile. You will discover which items are available for free in offer in the store. 🚀 It's very intuitive to use! 👍🏻 It's an app for all ages! 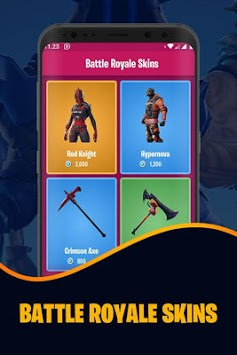 Use our app and be one of the first users to be notified of offers in the Battle Royal store to be able to get items for FREE. Items for all the seasons (including Season 6) are available in the store. 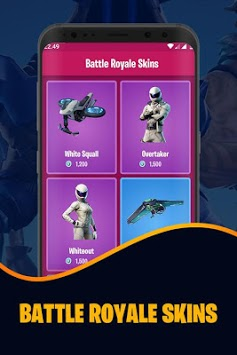 Don't waste your vBucks for buying this items. Disclaimer : This content is not affiliated, endorsed, sponsored or specifically approved by Epic Games is not responsible for it.